Zoho Forms allows you to create forms for all of your business needs. You could either build a new form or modify an existing template using our drag-and-drop builder. When you sign in to Zoho Forms, you will arrive at the Home page. Home is where you'll find all your forms. Click on New Form button on the top-right corner of the Home page. Name your form and give a description, if you wish to. Click on Create Form. The form builder will now be displayed. We have created numerous templates for different verticals. Pick a template from our Template Gallery and start working. You can even modify the templates to suit your needs. Click the New Form button in the Home page. Choose the Form Templates option. The Template Gallery pop-up appears. Start using the prefered template by clicking on Use this template button at the top-right corner. The fields would now appear in your form builder. You can add or delete fields and change the theme if you wish. Once you've built the form, save it by clicking on the Save button on the top-right of the page. Then, click on the Access Form button above the Save button. A preview of your form will open in a new tab. You can edit the name and the description of your form after creating it. The description can contain an additional information such as instructions, special note, etc. You can also choose where the field name label should appear in your forms. Open your form builder and click on the form title, it opens Form Properties tab on the right corner. 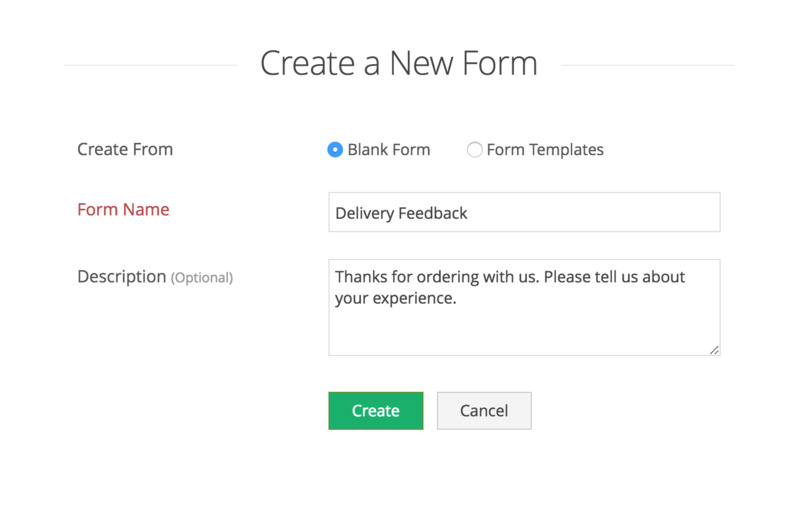 Click your form title in your builder. You can edit the title in the Form title text box that is present under the Form Properties pane. If you want a description to be shown under the title, enter it in the Description text box. Note: If you do not want the title to be displayed in your form, navigate to Settings >> General >> Basic Settings >> Form Header and Toggle to Hide. Field label is the name given for any field in your forms, such as 'First Name' or 'Product'. You can choose to align the field labels on the top, left or right. 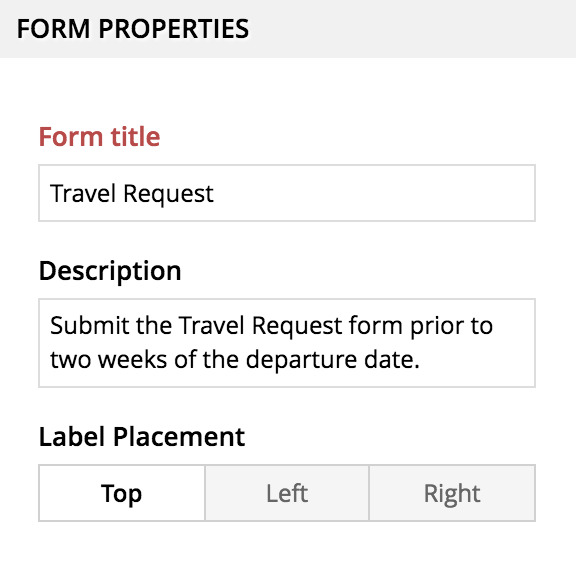 Under the Form Properties pane, you will find the Label Placement option. 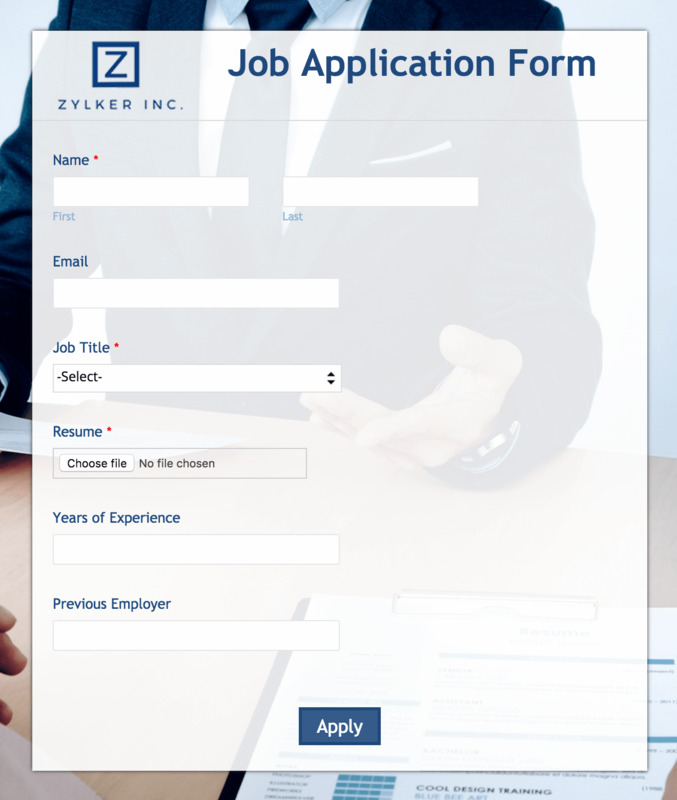 Click on Home > > Forms tab at the top-left corner of the page and all your forms will be listed. Hover over the name of the form that you want to duplicate. Enter a name for the form and click Create. You will now be taken to the builder of the duplicated form. 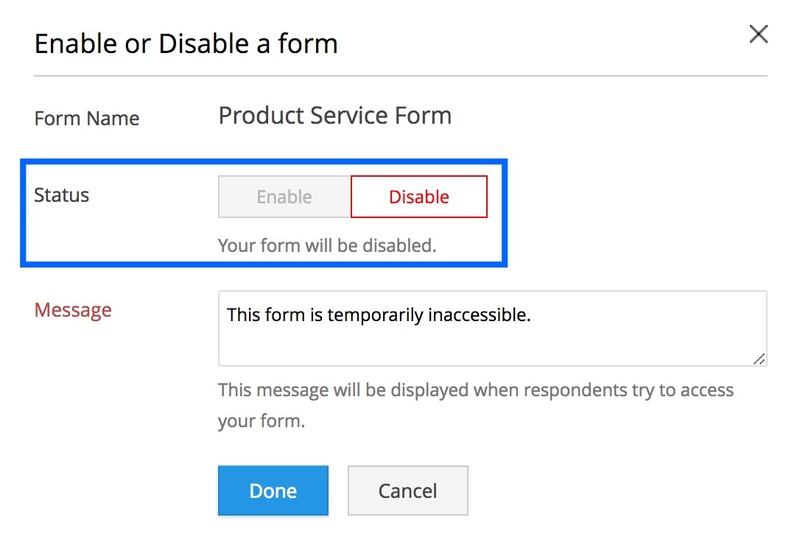 When you do not want to receive any entries, temporarily through your forms, you can Disable them. To receive entries again, change the status of the forms to Enable and activate your forms. Click on Home >> Forms tab at the top-left corner of the page, and all your forms will be listed. 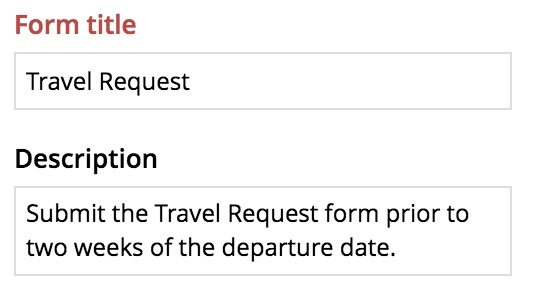 Hover over the name of the form that you want to change the status. When the form is created, it is in Enable status by default. To disable the form, click Disable. Now, your form will be disabled. When someone tries to access your form, the error message text in the Message box will be displayed to them. You can customise the message as you wish. You can change the owner of a form that you have already created. By doing so, the ownership is transferred to that person in the organisation. 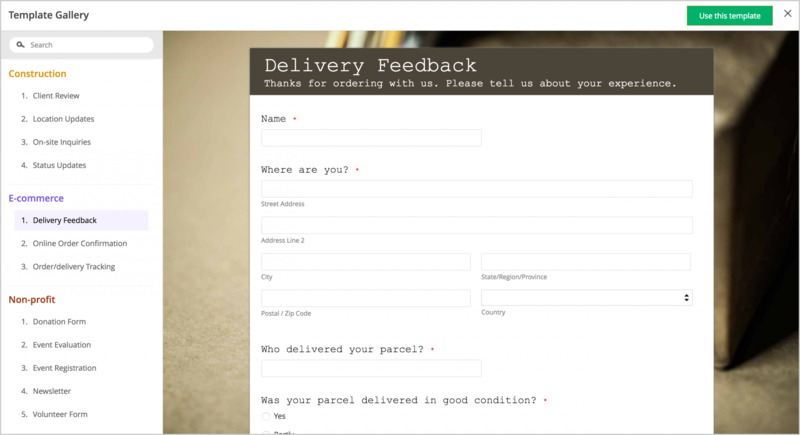 Hover over the name of the form that you want to change the owner. In the Change Form Ownership pop-up that appears, choose the person you wish to transfer the ownership to, from the Change Ownership to. You can move your forms to the Trash if you no longer need them. Trashed forms, along with the entries and custom reports will be deleted permanently from our database after 15 days. If you want to delete your forms right away, you can manually delete them from the trash. You can also restore a form with its data to your account from the trash. Hover over the name of the form that you want to delete. In the Home page, click the icon and choose Trashed Forms. Hover over the name of the form. Note: The Super Admin can view and restore the forms that are moved to the Trash by all users in an organization.